The Discovery Sport might be the cheapest Land Rover from the current range but it’s no cut-price compromise. It looks the part, thanks to a design that’s similar to the larger Land Rover Discovery, including sloping side pillars towards the back of the car and a clamshell bonnet plastered with the word: “Discovery”. The interior is well finished and spacious, with seven seats in all but entry-level models. The ride is smooth at high speeds and there's a distinct a lack of wind noise, making the Discovery Sport an excellent car for motorway journeys. Models with four-wheel drive are proper sport utility vehicles (SUVs), with excellent off-road ability, making them more than capable of ploughing through muddy fields and snowy lanes. And this is a car that costs from just over £30,000 when new - similar to a Kia Sorento or Skoda Kodiaq. It’s like finding a pair of Hunter wellies at TK Maxx. At least, that’s the case if you restrict yourself to the base models with two wheel drive and the least-powerful engine. The price quickly rises to more than £35,000 if you want a diesel model with four-wheel drive, automatic gearbox and sat-nav, taking it to the level of the similarly-sized Audi Q5, BMW X3 and Mercedes GLC - not that these alternatives come with the option of seven seats. Land Rover describes the seating as a 5+2 arrangement, as the rear two seats are quite cramped. It is included with every model except for the cheapest Pure versions. The two small seats rise from the boot area (taking up most of the space) and are best for children. On higher-specification cars, the seating is flexible, allowing one, two or three of the middle row of seats to be folded too, so you can balance luggage needs with the number of passengers that you need to carry. Fold all of the rear seats flat and the Discovery Sport will happily transport up to 1,698 litres of baggage, which makes it a formidable machine for trips to the tip or Ikea shopping sprees. Every car comes with an 8in touchscreen, which can be upgraded to a larger 10in model with sat-nav and even a Tv that can be seen by the front-seat passenger but not the driver. It's functional, but the touchscreen response times can be slow and it's more distracting to use while driving than the slicker systems fitted by Mercedes, Audi and BMW, which can be controlled with rotary dials. We also found Bluetooth tethering of smartphones to be a bit hit and miss. That said, the Land Rover options list includes some impressive pieces of kit, including a head-up display system, rear-seat entertainment systems with wireless headphones, advanced sound systems and much more. To drive, the Land Rover Discovery Sport is as comfortable and easy as they come, with a six-speed manual gearbox offered as standard, although the nine speed automatic is worth the premium, seeing as it's so smooth and simple to use. It's quiet and comfortable on most roads, but the car can thump into potholes with a judder while driving at low speeds through town, especially when the larger alloy wheels are specified. Both diesel and petrol engines keep noise to a minimum, even under hard acceleration, but the petrol units do tend to guzzle fuel compared to the more frugal diesel offerings. Those venturing into the wild will be pleased to know that Land Rover's trademark off-road abilities are built-in to the package, with a wading depth of 600mm, and departure angle of 31 degrees, so it can navigate steep climbs without scraping on the ground. Land Rover's Terrain Response system adjusts the car's settings to cope with a range of surfaces, including mud, grass, gravel and snow. Customers can even specify wade-sensing technology, which uses cameras located in the undersides of the door mirrors that deliver real-time data to the dashboard screen to help drivers ensure the maximum wading depth isn't exceeded. This entry-level model is the cheapest to buy outright and returns almost 50mpg on the combined cycle. Specification is sparse, though. The highest-powered diesel provides plenty of useable performance, while this specification introduces parking sensors, Touch Navigation infotainment system and a gesture-controlled tailgate to make life a little easier. Sporty styling and the most powerful petrol engine in the range combine and result in a relatively nifty SUV. The 0-60mph sprint takes a respectable 6.5 seconds, for example. Some of the early 2015 Land Rover Discovery Sport models were criticised for noisy engines, but these old 2.2-litre TD4 diesel engines were soon replaced with the newer, cleaner and smoother 2.0-litre engine, known as Ingenium. The basic and lowest powered ‘e-Capability’ eD4 diesel engine is cheapest, and only available with a manual gearbox. There's sufficient power to keep up with traffic but the car feels sluggish. This engine is also only available on front-wheel-drive only models, so lacks the off-road capabilities that most expect from their Land Rover models. The modern 2.0-litre Ingenium diesel is available with all-wheel-drive. The 150 horsepower (hp) version has no more power than the eD4 diesel, so the 180hp version is a better choice. It has considerable pulling power (430Nm of torque) for towing and remains quiet, even under heavy acceleration. Customers can stretch to a 240hp version of the same engine and it offers the most impressive performance statistics of all the diesel range. That said, the 290hp twin-turbocharged petrol engine is by far the most exciting model to drive, with rapid acceleration times and a maximum top speed of 143mph appealing to those who place performance at the top of their wish list. Unfortunately, both the 240hp and 290hp petrol engines are thirsty and our time with the lowest powered petrol revealed that its 38.7mpg claimed economy figure was a little ambitious, even with lots of gentle motorway cruising on the cards. With a dizzying array of trim levels, it's easy to get confused by Land Rover's model line-up but the range kicks off with the most basic Pure vehicles. Only available in a front-wheel-drive, manual 150hp eD4 diesel engine, this is essentially Discovery Sport in its most basic guise and as a result, customers receive the least flattering 18-inch alloy wheels, a basic 8-inch touchscreen that lacks navigation, halogen headlights, a basic 10-speaker Land Rover sound system and manually adjustable seats. Step up to SE and the alloy wheels become more intricate and striking, Hill Descent Control makes tackling steep inclines easier and rear parking aids help in those tight supermarket spots. The second row seats also split 60:40 in this specification and it opens up the full range of engine offerings (bar the most potent 290hp petrol). SE Tech does what it says on the tin and introduces some additional gizmos, such as a gesture controlled tailgate, Touch Navigation, keyless entry and rain-sensing wipers. 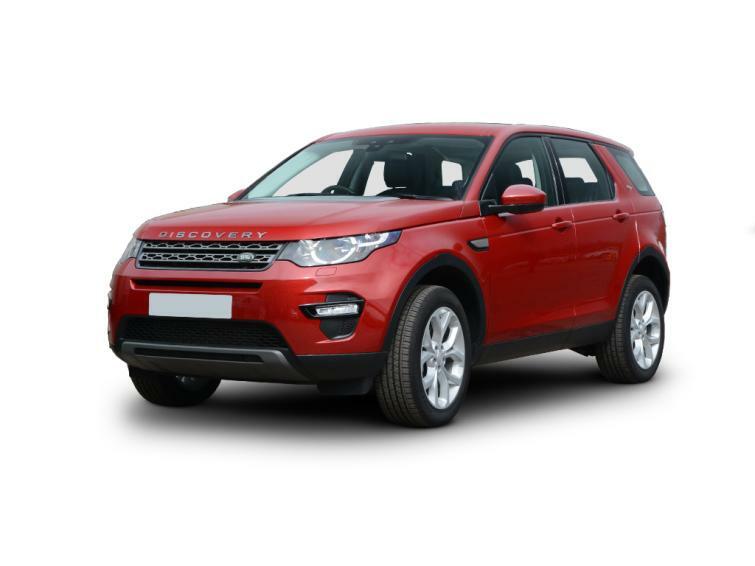 HSE has always represented for the more luxurious Land Rover and Discovery Sport is no exception, as more expensive trim level ushers in 19-inch alloy wheels, climate control for the second row seats, xenon headlights, a powerful Meridian sound system, leather seats and a rear camera. Quite predictably, HSE Luxury adds further extravagance, with 20-inch wheels, configurable ambient lighting, perforated Windsor leather seats, traffic sign recognition and chrome details to some of the exterior bodywork, including the door handles. Finally, Dynamic Lux adds a bucket-load of sporty exterior touches, with bespoke side mouldings, sporty exhaust trim, a black mesh grille, side vents and gloss black alloy wheels lending it a purposeful presence. This trim level is also available with the most powerful 290hp petrol engine. Land Rover's three-year warranty goes slightly above and beyond the competition; in so much as there's no mileage limit. However, the brand’s dealers haven't historically boasted a great reputation, as they finished 22nd out of 32 in the 2016 Auto Express Driver Power survey. Customers complained of poor workmanship and high prices at the time. The 2018 Driver Power Survey still didn't see a Land Rover in the top 10 most reliable cars to own but the Discovery Sport did return a 91.34 per cent customer satisfaction rating, which goes some way to prove that JLR's latest model offensive is much improved. Despite some question marks over Land Rover's reliability, the marque boasts some rock-solid second-hand values, which means it's difficult to pick up a real bargain on the used market, but that finance prices are competitive. A 180hp 2.0L TD4 2016 models in the fairly luxurious HSE trim can be picked up for just shy of £30,000, but customers will have to make do with around 20,000 miles on the clock. Even early 2015 models with the old 2.2-litre petrol and diesel engines command £22,000 or more, despite some of these cars showing over 50,000 miles on the clock.